Scientists of the United States made groundbreaking history in 2003 when the Human Genome Project was completed. They told the world exactly what the genetic makeup of the human body was for the first time in history. But there are still unknown oddities to the inner workings of humans. And one of those is the unfortunate case of the autoimmune disease, a situation that develops when your immune system doesn’t recognise your body’s own healthy cells and decides to attack them. One of the body’s main lines of defence against autoimmune diseases is a diverse world of microbes living on and inside the body, called the microbiome. Bacteria, fungi, protozoa, and viruses are responsible for helping us complete tasks like digesting food and coagulating blood. But possibly the most important role played by the microbiome is regulating the immune system. When this community of microbes is interrupted for any number of reasons, the system gets thrown off and people start to have problems with autoimmune diseases. Two prevalent autoimmune diseases are Type 1 diabetes and celiac disease. According to the CDC, the number of newly diagnosed diabetes cases jumped from 537,000 cases a year in 1991 to a roaring 1,437,000 cases in 2014. A study in The American Journal of Gastroenterology on celiac disease reported an increase of the disease from 5.2 per 100,000 individuals in 1990 to 19.1 per 100,000 individuals in 2011. This climbing rate is much higher than it has been historically. Scientists know that autoimmune diseases appear to be passed in families, not only by DNA inheritance, but also by inheriting the family’s microbiome. A Cell Press study done by the University of Helsinki found that a person’s microbiome starts in utero and it is strongly influenced by exposures at birth, which have long-term physiological effects. Breastfeeding also influences a child’s microbiome from the start, so if your mother has a diverse microbiome herself, you are more likely to be protected from the onset of autoimmune diseases. Early microbiome development is a key to determining susceptibility to or protection from diseases later in life. A child’s immune system is pretty much completely developed by the time they are 3 years old, so early introduction to a diverse set of microbes is especially important. Another big player in this diversity is geography. This same study, comparing children in Finland to children in Russia, showed that Finnish children develop disease more frequently due to different microbes in the environment and what their body is expecting to fight off. One in 120 children in the country develop Type 1 diabetes before turning 15 years of age. 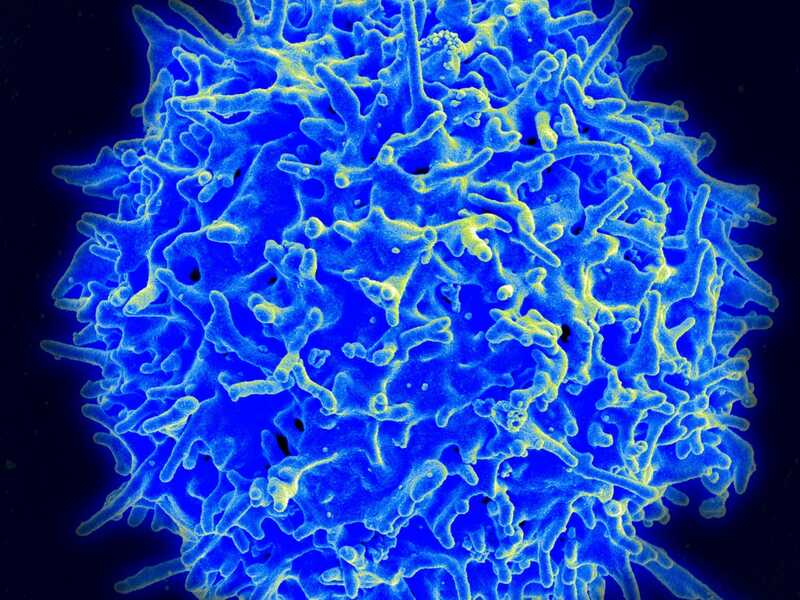 Due to a nongenetic component of being affected by autoimmune diseases, only 3%-7% of those at risk of cell destruction actually develop Type 1 diabetes. While not quite as significant as geography and breastfeeding, diet is also an important factor. Researchers have seen that diet has the ability to influence immune disorders by influencing the composition of commensal bacteria and altering intestinal microbiota. A study conducted by researchers at Yale and MIT has shown that fatty, salty, sugary, and fast foods are promoters of autoimmune diseases. In a world driven by convenience and quick options, these foods are exactly the ones that are becoming more popular every day. Decreased microbial diversity is a hallmark of obesity, which is on the rise due to consumption of these foods. Another University of Florida study found that bacteria producing more fatty acids lead to a higher case of Type 1 diabetes. Failure to develop a critical level of diversity in the gut microbiota leads to an increased chance of immune disorders, such as Type 1 diabetes and other diseases. 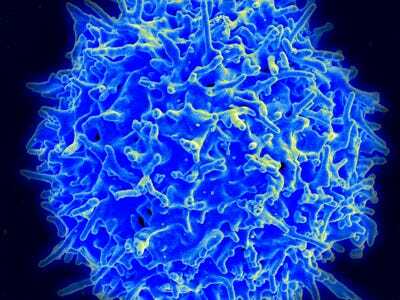 NIAID / FlickrA healthy human t-cell, part of the immune system, is shown in this scanning electron micrograph image. One option that may help is eating lots of dietary fibre. Bacteria eat this, so if you keep them happy they will provide your body with nutrients that line your gut and help overall health. Fibre from some vegetables, like garlic, hurt the bad bacteria in the gut and leave the good ones, helping to shape an individual’s microbiome. However, some fibre from whole grains can cause inflammation, leading to more problems, so it’s important to know what’s good and what’s not. The mysterious microbiome is just the latest in biological systems that scientists are learning to understand more. With an ever-changing culture and environment, it can be tough to get a good grasp on the necessary steps needed to fight off infection. Some may think that coddling their child away from the public and bacteria may be saving them, but it actually looks like the exact opposite is turning out to be true.